Disaster recovery is much more than simply having a copy of your critical data, it is the ability to quickly recover and get back to work. System crash, human error or natural disaster – our image-based backup solution takes snapshots of your critical systems, saves them both locally and in the cloud, and gives you the ability to virtualize those systems in case of catastrophe. You can’t go back in time to make sure your important data is secure and backed up – it needs to be done before disaster strikes. With an image-based solution, entire systems are backed up, so that if a system goes down for any reason, you have the ability to virtualize that system, bringing your data back online and minimizing downtime. A staggering 20% of businesses don’t store backup data off-site. Maintaining a local backup allows for fast recovery of lost information, but it cannot protect against fire, flood or theft. If a computer is down, stolen, or even if your entire office is without power, G&G’s image-based backup solution can get you running again by recreating your systems in the cloud, getting you back to work in minutes, instead of days. Only 50% of businesses backup their servers weekly, and 32% do not test those backups. If it isn’t current or valid, your backup is worthless. Automated testing and proof of backup is a must for any Disaster Recovery plan. 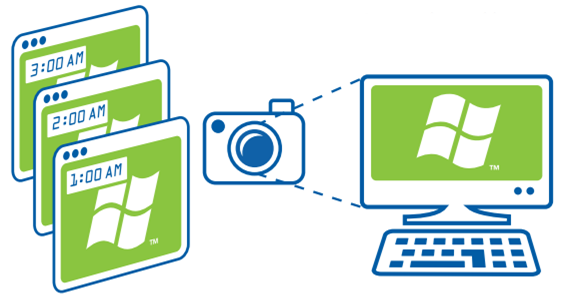 G&G’s image-based backup solution uses screenshot verification to confirm the validity and content of your backups – every day your backup image is booted up and a picture of the working system is e-mailed to you, providing peace of mind to business owners and IT personnel. Many businesses are apprehensive of cloud-based backup and storage – storage needs are ever expanding, and too many cloud-based services have pricing which is difficult to understand. 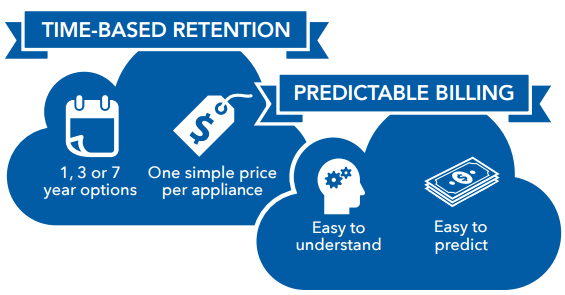 G&G’s time-based retention plans offer an easy to understand pricing model. There is no need to guess how many gigabytes of storage you require today, next month or next year. You know how much your bill will be each and every month, making budgeting simple.